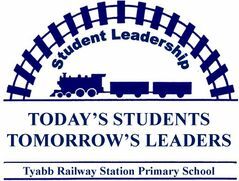 At Tyabb Railway Station Primary School we believe we have an outstanding leadership program. Our philosophy is that all year 6 students should be given the opportunity to develop their leadership qualities. To achieve this, all students during year 6 undertake the role and responsabilities of school leader for a set period of time. Children in year 5 participate in a Leadership Program led by our Principal. These are the values we feel are important for our students to take with then into the future.